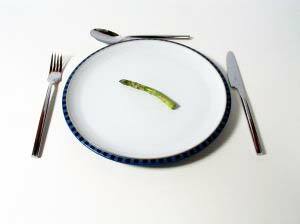 The cornerstone of weight loss is calorie restriction. There is no getting around the fact that if you take in less energy than your body uses, you WILL lose weight. Your body needs to get the energy from somewhere so it has to look to internally stored energy. Let’s face it, no diet that has a spot for cheesecake will succeed (unless it’s the only thing you eat for two days). Start out your diet by cutting out some of the foods you normally eat. An easy way to reduce the amount of calories you consume is to stop eating certain foods that you know are bad for you. Cutting out soda, ice cream, candy etc. is a great way to start. The goal here is to slowly reduce the amount of food you eat. Waking up one morning and eating half of what you normally eat will throw your body completely out of whack. Check out our article on Diet Techniques to fine tune your dieting. The next important step of your plan is to exercise. Millions of years of evolution have made your body extremely efficient. Think about it, if you eat less it would make sense for your body to use less energy. If you cut your calories and do nothing else your metabolism will slow down to accommodate. Your body will have no reason to lose weight because it can keep its stores of fat, which it likes to have in case of hard times, by simply slowing down. In order to make your reduced calorie consumption translate to weight loss you need to exercise. Again, think of it logically. If you are exercising your body will need energy for the actual exercise and the muscle repair afterwards. 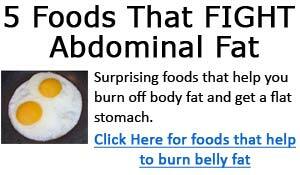 Since its calories are being restricted, the best choice is to reduce the stores of body fat. 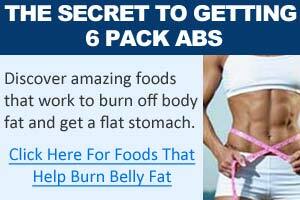 The body fat it breaks down will be used for energy to repair muscle (and for general functioning), and secondly the reduction in fat, and thus weight, will make the body more efficient for subsequent exertions. This means that the hormones present in your body favor breakdown of every type of tissue, muscle included. This is also called a catabolic state. In order to put your body into an anabolic state, where muscle is kept (and even built) you need high intensity exercise. High intensity exercise will force your body into producing testosterone and growth hormone, which is essential because it will force you to burn fat rather than muscle. High intensity exercise can be several things. For cardiovascular exercise it means intervals, or something where your heart rate is very high and lactate is produced. Cardiovascular exercise that is endurance based should be used sparingly; intervals should be the cornerstone of your cardiovascular exercise. A good plan would be to perform intervals three times a week, and then add endurance training (if you can) on top of this. The one benefit endurance training will give you is just another source of calorie burning. As far as lifting goes, a program incorporating high weights and low reps will result in more testosterone and growth hormone production than other types of programs. Step four is just fine tuning. Proper supplementation, workout timing, food selection, etc. all should be used to maximize your weight loss plans effectiveness. Proper supplementation includes all the standard supplements plus something to speed up your metabolism. While we don ’t particularly endorse energy boosters and thinks like Xenadrine, we do realize they work, and they can help you keep your metabolism running quickly. A good minimalist approach would be to consume some coffee. Food selection will also help your plan. Eating tons of vegetables will help you feel full because of their high fiber content. Also, eat the bulk of your carbohydrates early in the day. This will ensure that you get the carbohydrates when your blood sugar is low in the morning and also that you wont overeat at night and store excess carbohydrates as fat while you sleep. Drinking enough water and taking a multivitamin should be obvious. See our article on interval training to learn more about workout timing for your cardio. For lifting, do it in the afternoon if you can, though anytime before that is fine. Just don’t do it right before you go to bed, because you wont give your muscles the nutrients they need. Losing weight is this simple, but it is by no means easy. Ease into your weight loss program slowly. Begin to reduce your calories and ramp up your cardio over a period of weeks, not days. Don’t expect instant results. At minimum you will need three or four months to see a significant change. And finally, this WILL work. Don’t give up or eat more food in moments of weakness. Enlist the support of friends and family by telling them your plan. This way, if they see you eating a cake or skipping a workout they will question you and make you get back on track. You could even try making a wager with friends and betting them how much weight you will lose.